Nose: Quite light on the nose with creamy vanilla and crisp cereal notes. LIngering citric fruits emerge, complemented by dried apricots, slightly bitter orange peel and pink grapefruit, followed by tender spiced oak and pepper in the back. Very appealing! Palate: Sweet and creamy on the palate at first with a lovely fruity mix of apricots, grapefruit and vanilla. This is, however, immediately pushed aside by a herbaceous and warming spiciness of oak, nutmeg and pepper, accompanied by a long-standing woody dryness. Finish: Quite short and very woody on the finish. Dry oak, pepper and anise without any twinkle of fruitiness. With water: Water brings out more vanilla but tames the lovely fruitiness on the nose. Woody, spicy, peppery and very dry on the palate while the yellow fruity flavours are all gone. The same on the finish. Short, but very woody and significantly dry. Comments: Fresh and fruity, with a seductive nose. On the palate, however, I find it too much on the woody side. Unbalanced, very dry with lots of spices and virtually no fruit, particularly on the finish. 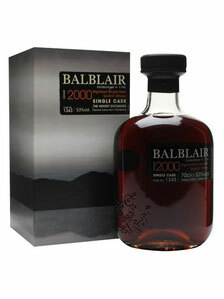 This 'woody' style of Balblair doesn't really suit me. Nose: Subtle sweet and very fruity on the nose with ripe pears, grapes and pineapple. This is accompanied by pleasant floral and malty notes mixed with grassy tones and hay. Vanilla, cinnamon and spiced oak gently linger with notes of herbal lemonade in the back. Fresh and soft. Palate: Deliciously fruity and significantly sweeter on the palate than the nose suggests. Pineapple, ripe pears, baked yellow apples, and lemon zest with a whiff of raisins pleasantly linger with sticky honey on the tongue. A slightly warming spiciness develops with oak, cinnamon, ginger and subtle nutmeg. Tender notes of caramel and milk chocolate towards the finish. Finish: The finish is medium long, sweet with vanilla and creamy acacia honey. Warm notes of spiced oak and cinnamon perfectly intermingle with a lingering nuttiness and fine milk chocolate on the tail. Lovely soft and elegant. With water: Water significantly tames the lovely fruitiness on the nose bringing lots of spicy flavours and acacia honey to the fore. Dry and less sweet with an increased spiciness and prickling oak on the tongue. The finish is medium long, significantly warm and dry with spiced oak on the tail. 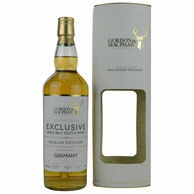 Comments: A rich multi-layered malt with an attractive character. A beautiful example of a well-matured Bourbon cask whisky. Smooth and charming with a lovely sweetness on the palate, but still lively and spicy when water is added! Well structured with delicious flavours, and highly drinkable. Colour: Extremely dark mahogany, almost black. Nose: Oh yes, that's heavy stuff! Lots of sherry! Bold, rich and intense oloroso sherry backbone with maraschino cherries, prunes, dates, figs, and raisins. Sweet with molasses, liquorice, and a bitter touch of soy sauce, pleasantly mixed with dark chocolate, coffee, orange zest and lovely spicy cinnamon, oak and nutmeg. Damp and earthy notes develop with tender leather, burnt matches and a whiff of sulphur in the back. Really a very big nose! Palate: What the nose promises the palate delivers. Rich, intense and strong with a massive load of sherry, treacle, dark ripe fruits, cherries, raisins, prunes and thick molasses. This is complemented by a warming spiciness of oak, cinnamon, nutmeg, and subtle cloves. Chocolate coated coffee beans and delicate walnuts nicely linger with tobacco, earthy notes and subtle flavours of flintstone and rubber towards the finish. Amazing! Finish: The finish is very long, sweet with prunes and liquorice, and pleasantly warm with plenty of nutty flavours, nicely mixed with dark chocolate, coffee beans, raisins, cinnamon and a wee herbal touch of mint on the tail. With water: Despite the heavy sherry load, there's more fruitiness coming through with a splash of water, especially cherries! The damp and earthy notes are almost vanished. The sweetness is increasing on the palate and the fruitiness becomes slightly vibrant with the addition of citric flavours. Lots of cherries and less nutty notes in the back. The finish is still long with significantly less fruit and more focus on the chocolate and expresso notes with a bitter and dry end. 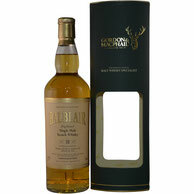 Comments: Very lush and bold sherry cask matured Balblair! An enticing expression of a real sherry bomb. Quite an intense, complex dram, packed full of sherry flavour. A rich and deep character with a gorgeous nose and a more powerful palate. Multi-layered and well-balanced with loads of molasses, dark fruits and nutty flavours. A grown-up whisky which I prefer to enjoy neat, with plenty of time in front of a cozy fireplace. I thank The Whisky Exchange (TWE) for the photograph!